I'm actually ashamed to admit it, but I'd never actually seen this until just a few weeks ago. Gasp! Not sure why really. It's just one of those that I always dismissed as a 70's horror film that I probably wouldn't be into. But as I've grown older, my tastes have certainly changed, and I felt now was the perfect time to see if I can appreciate some old school horror on a different level than what I'm normally used to. 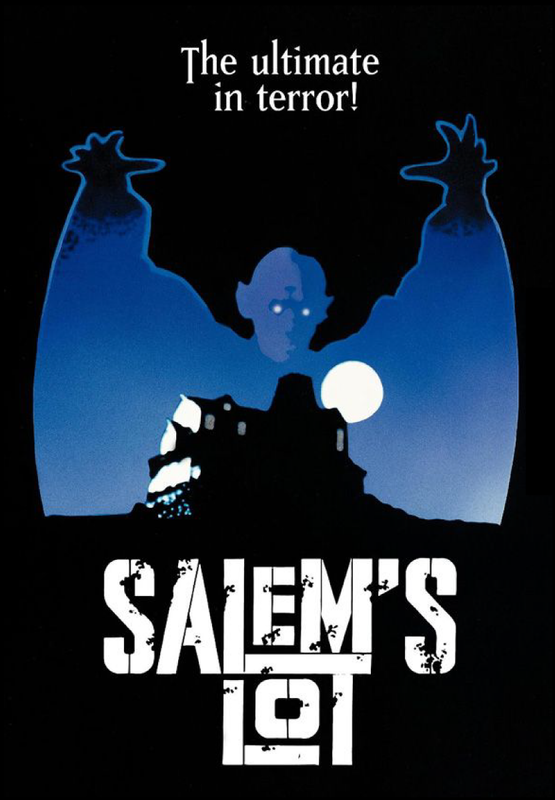 Salem's Lot is awesome. Let me just get that out of the way. It's such a specific kind of horror film, the kind that people have a hard time doing correctly, that it easily makes for a cult classic, and deservedly so. 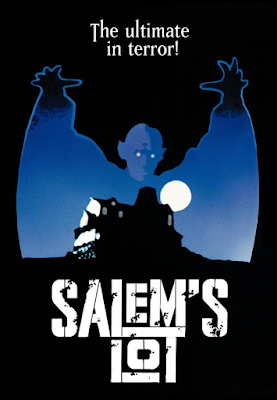 Salem's Lot gets so much right in creating a Hammer Films Horror type of aesthetic. It's bloody brilliant. I will be honest and say that I had some deep reservations going in. I mean, this was Made-for-TV after all, and made in the 70's. So I knew it couldn't possibly live up to any realistic expectations as far as a horror films go. Boy was I wrong. I'm not sure if it was on purpose, or just the sign of the times, but Tobe Hooper successfully creates such a Gothic and vintage horror environment, that it's hard not to be impressed. All I kept thinking of while I was watching this was how much it reminded me of an old Hammer Film from the 60's and 70's. Not only that, it's creepy as hell, emanating a slow-burn suspense that takes it's time in getting to where it needs to. Though the film lacks any real gore, and does take the slow approach, believe me when I tell you that it's well worth the investment in your time. The payoff is incredible, and everything about this film works on such a high level that you'll forget that despite it being a horror film, there is no actual gore. It doesn't matter. This film is classy on a supreme level and doesn't need blood and gore to sell anything. Released in 1979 and directed by Tobe Hooper 5 years after his legendary Texas Chainsaw Massacre in '74 and 3 years before he hit it big with Poltergeist in '82, this is Tobe Hooper in top form. Not at all limited by the confines of a smaller budget and restrictions, he seems to take it as a challenge, and succeeds in surpassing your expectations on what you can do within the confines of television. Seriously, if I hadn't had already known this was a television production, I never would have known. His visual aesthetic has been something that I've always admired in the early part of his career with notable films like Poltergeist, Invaders from Mars and Lifeforce, and Salem's Lot is no exception. The constant Gothic undertones create such a pleasing, yet unsettling atmosphere, that when the mythical Kurt Barlow finally makes his appearance, it will give you nightmares. Speaking of which, holy hell was the vampire just amazing in this. Taking deep and incredible inspiration from F.W. Murnau's classic Nosferatu, the vampire design and makeup works so effectively well that it literally gave me chills every time he was on screen. There are other practical effects work going on in here that put so much of what we see in films today to shame. The effects work in here just prove that a little can go a long way. It's a shame that this classic has never gotten a proper release. 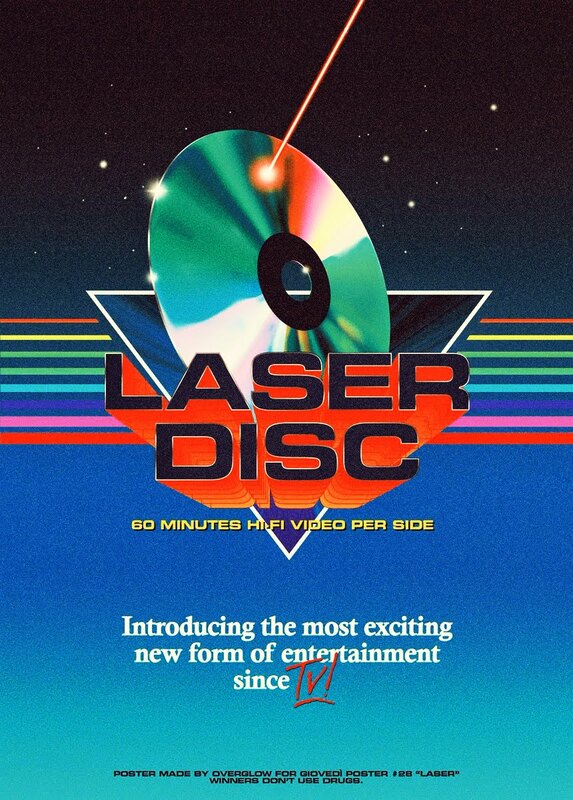 There's been countless VHS releases, as well as a Laserdisc and 1 DVD release, but none of them worth getting excited about. For starters, there's never been a widescreen release of this anywhere, and that's a damn shame. Visually stunning would be putting it lightly. This deserves to be seen in all it's glory, and yet here we are a whole 36 years later and STILL no decent release with a proper aspect ratio, special features to dig into, or even a cleaned up transfer. If any film is begging for a Blu-ray release, it's this one. Let's hope the universe moves in that direction and gives us the Salem's Lot release the film deserves. Not easy to get your hands on as it's not streaming on any available site, with the bare-bones full frame dvd even going for ridiculous numbers, I chose to watch this on good ol' VHS and I'm glad I did. It gave the experience much more of a vintage feel, and I have to be honest, it just looked cool as hell, as if I was actually watching it for the first time as it premiered on TV back in 1979, with grainy picture quality and unforgiving full frame, making it easily one of the most enjoyable film experiences I've had in quite a long time. I've never read the Stephen King book, but I certainly plan to as soon as I can. If you've never seen Tobe Hooper's original classic, I recommend you get on that pronto. Meanwhile, I'll debate whether I should bother tackling Larry Cohen's sequel, or the Made-for-TV remake starring Rob Lowe.